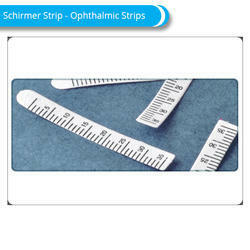 We have all types of Ophthalmic Diagnostic Strips like Fluorescein STrips, Schirmer Strips, Rose Bengal Strips And Lissamine Green Strips. 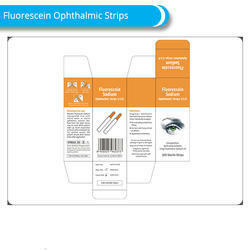 Fluorescein Sodium Ophthalmic Strips : Diagnostic Agent For Professional Use Only. 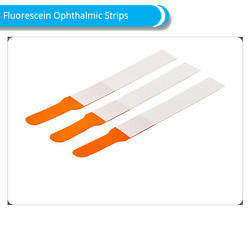 Each sterile strip is impregnated with 1 mg of fluorescein sodium USP. 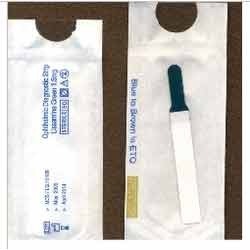 INDICATIONS: For staining the anterior segment of the eye when fitting contact lenses, in disclosing corneal injury and in applanation tonometry. 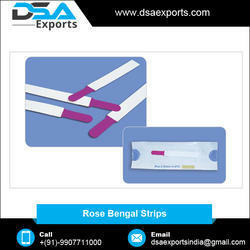 With our in-depth knowledge and experience, we are engaged in offering a wide array of Rose Bengal Strips that stains devitalized or degenerated epithelial cells as well as mucous filaments. The offered bengal strip is an ocular stain that has affinity for degenerating epithelium. Also, our bengal strip is checked from our side before supplying to customer’s end. This bengal strip is available with us in diverse sizes so as to meet the specific requirements of customers. Rose Bengal Strips is an ocular stain that has affinity for degenerating epithelium (outer layer of cornea). Rose Bengal Strip stains devitalized or degenerated epithelial cells as well as mucous filaments. Available as sterile strips in individual pouches. 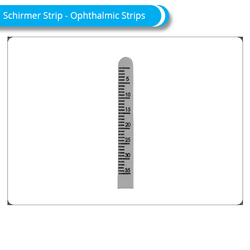 It is the most commonly used diagnostic strip used to visualize defects or abrasions in the corneal epithelium by staining the areas of cellular loss. Also useful for evaluating hard contact lens fitting & applanation tonometry. 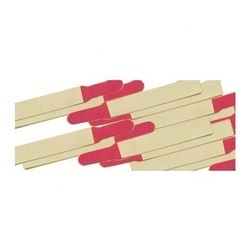 Packaging Details: Pack of 100 individual Sterile Strips. 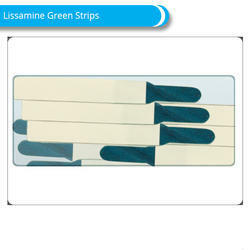 Lissamine Green Strips : Each strip is impregnated with 1.5 mg of Lissamine Green. To stain preferentially damaged or devitalized cells. To indicate any dry patches, as well as any mucus-deficient or damaged corneal epithelial cells. It does not stain healthy, proliferating ocular surface cells and has minimal effect on cell viability. 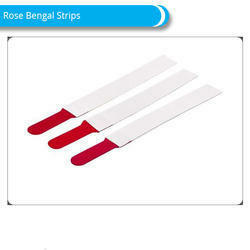 Rose Bengal Ophthalmic Strip : Rose Bengal is an ocular stain that has the affinity for degenerating epithelium (outer layer of cornea). It stains devitalized or degenerated epithelial cells as well as mucous filaments. Available as sterile strips in individual peel-open pouches. 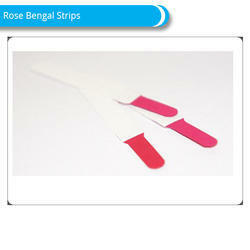 Each strip is impregnated with 1.3 mg of Rose Bengal. INDICATIONS: To It stains dead or degenerated epithelial cells of the cornea and conjunctiva. 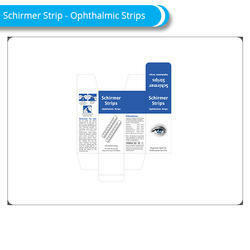 Schirmer Strips (sterile ophthalmic strips for dry eye test) : This dignostic strip made from the Whatman No 41 filter paper measures the amount of tear production. 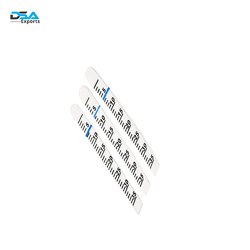 These strips are individually wrapped and are gauged so they can be easily read. INDICATIONS: Used for measurement of tear production for Dry Eye. 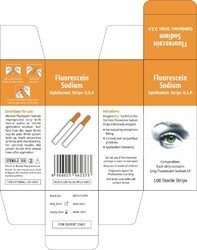 Individually wrapped sterile ophthalmic strips for detecting corneal abrasions and diagnosing Dry Eye Syndrome. 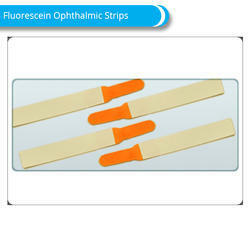 Strips work by staining the cornea florescent upon instillation. This causes "speckling" of the cornea which gives immediate indication of any dry patches, muco-deficient or damaged corneal cells. 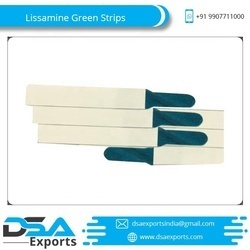 With our past years industry experience, we are engaged in offering an exclusive range of Lissamine Green Strips. 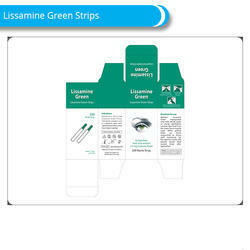 Our offered green strip does not sting the eye like rose bengal, and a white light or blue light can be used on the slit lamp during detection. 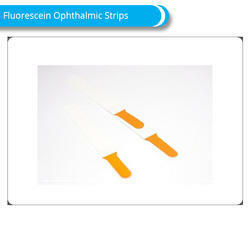 The provided green strip works by staining the cornea blue upon instillation. 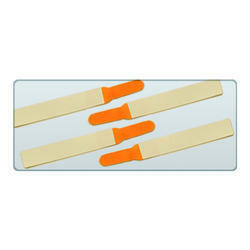 As well, these green strips are available as sterile strips in individual pouches. 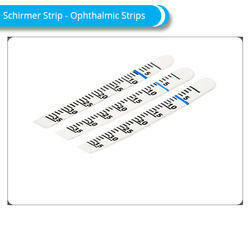 Looking for Ophthalmic Diagnostic Strips ?